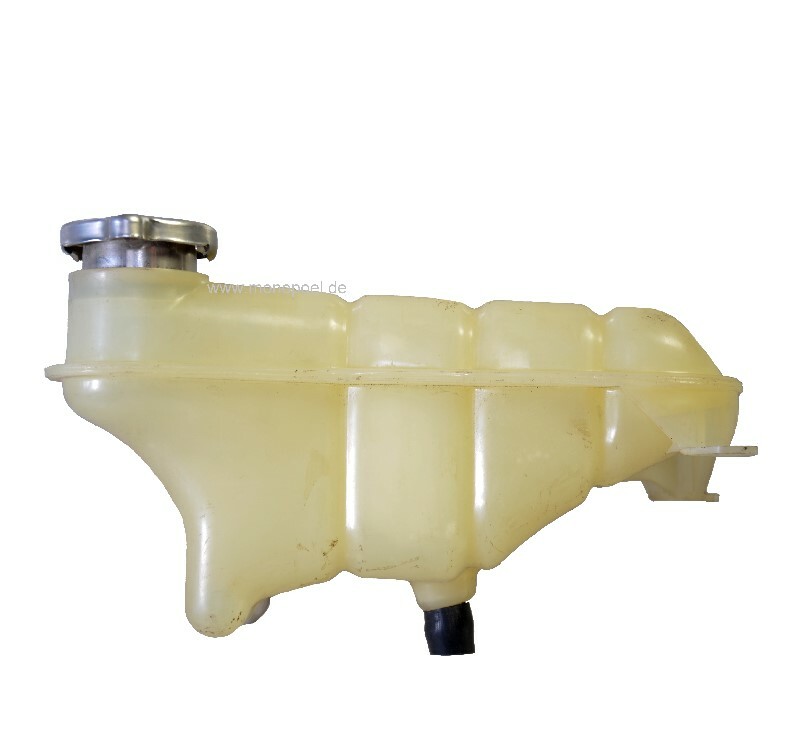 Expansion tank for cooling water for W201/W124. The compensating tanks are usually embrittled and considerably yellowed due to old age. At the inlet and outlet, as well as at the bayonet lock for the lid, cooling water often leaks, which becomes noticeable by a bluish/greenish deposit in these area. The cover should also be renewed due to it generally being worn out and leaking at this point.